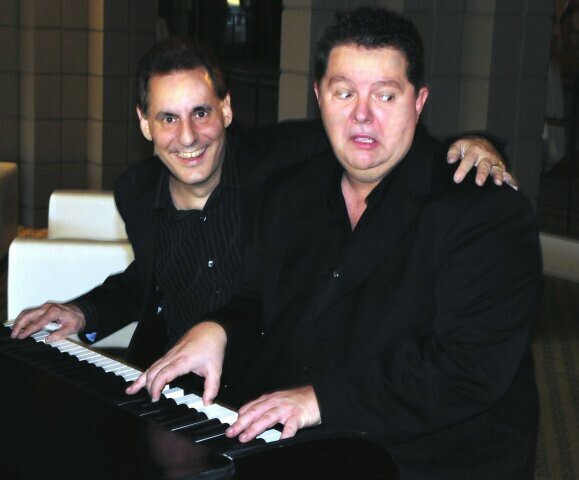 The Dueling Pianos concept is one of the hottest entertainment formats in the country, and Pete Wilson and Scott Dunlap have spent years developing themselves into one of the best dueling piano teams in the U.S. today. They have a huge repertoire of songs, from today’s hits to 50s classics in every style, and they deliver them with great vocals, tight musicianship and a natural comedic style to guarantee a great evening for any audience. Dunlap & Wilson supply their own pianos locally, as well as a self-contained audio system. All that is needed is a well-lit stage, and an audience that is ready to have some fun! Two or three hour show .